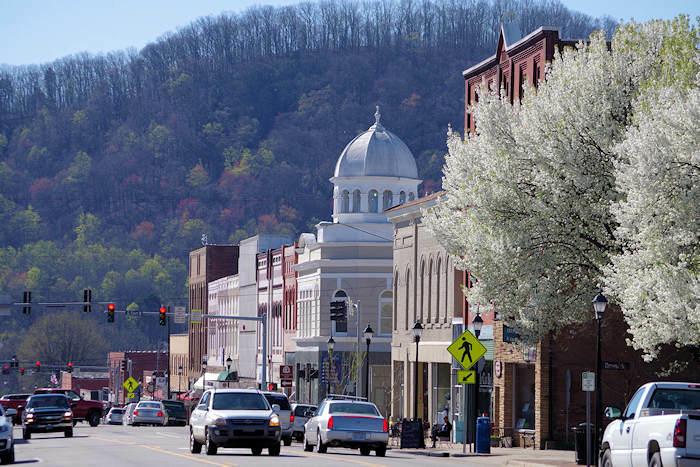 "Bee" sure to put this fun small-town festival on your list! 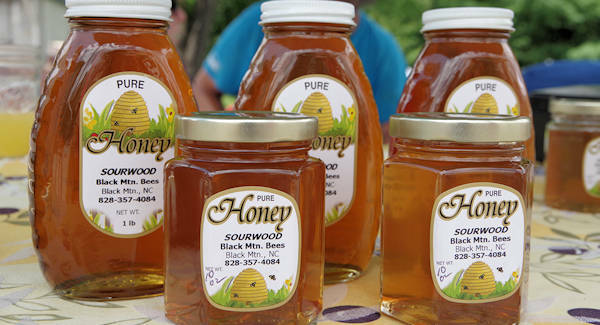 The Sourwood Festival in downtown Black Mountain celebrates our bees and local sourwood honey. It's presented by the local Chamber of Commerce. Stroll down several streets with 200 vendors, eat festival food and listen to big variety of live music. 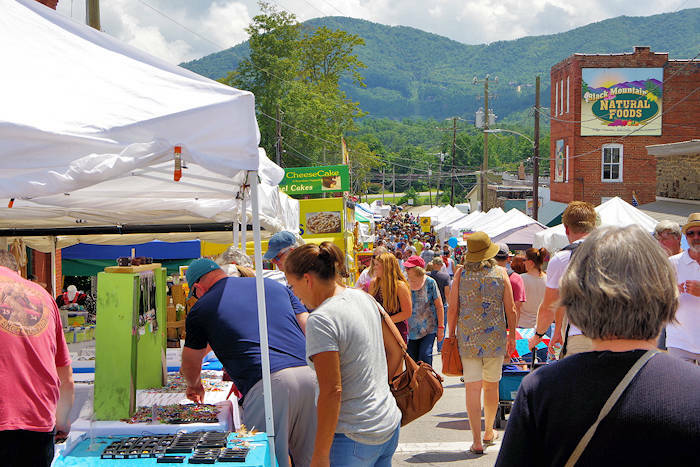 Since the festival is on several side streets, Black Mountain's State Street (their Main Street) remains open, so you can also explore all the galleries, restaurants and stores. Times: Saturday 9 AM-8 PM and Sunday 9 AM-5 PM. Admission is free. 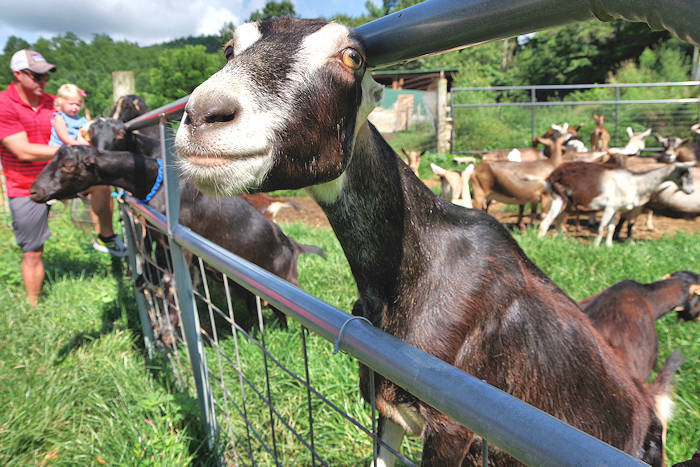 From downtown Asheville, it's a quick 20-minute drive to Black Mountain. The festival is just a few blocks from I-40 at exit 64. Even though 30,000 people come to this longtime favorite faire, you'll find many parking options including a free shuttle from the Ingles parking area to the right of the I-40 exit ramp. It's definitely a family-friendly event with several kid's carnival rides and games. It's a non-alcoholic event, but you can stop at one of the downtown pubs or restaurants for a refreshing beer. 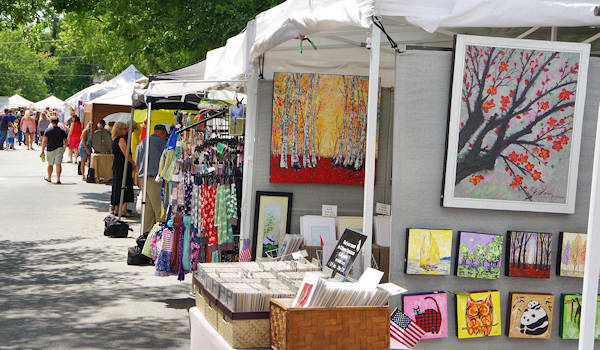 The 200 vendors along Sutton Avenue, Black Mountain Avenue and Vance Avenue include arts and crafts, local businesses, specialty items and honey! Take a break to enjoy bands and dancing under the big tent on Sutton Avenue across from The Old Depot, Saturday 12-9 PM and Sunday 12-5 PM. 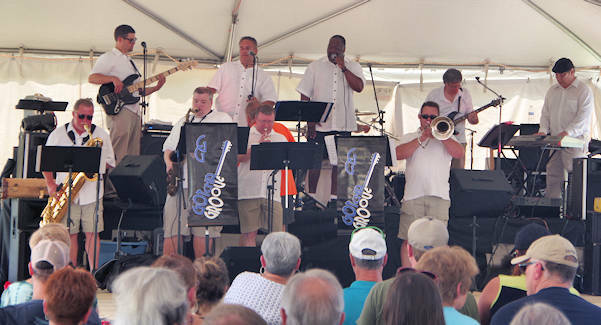 The festival kicks off Friday night with their Sourwood Idol Contest at 7 PM under the tent. It's free to enter and watch! 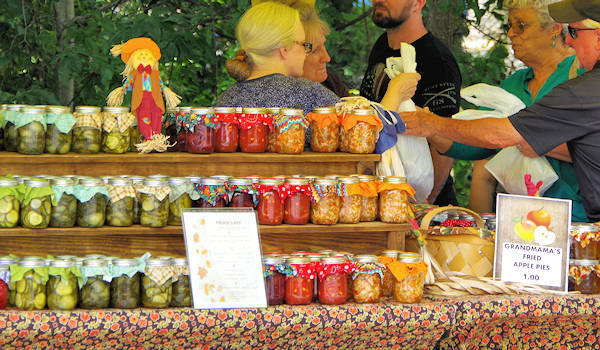 Take home pickles, jams and jellies (local and inexpensive). Don't forget the fried apple pies! See our Black Mountain Guide for more things to do in the area. Go to our Summer Festivals Guide for more events.